Writing your Will can be a daunting prospect. Not only do you have to decide who to leave your property to when you die and who will be the executor of your estate, but you have to wade through a lot of confusing legal terms. 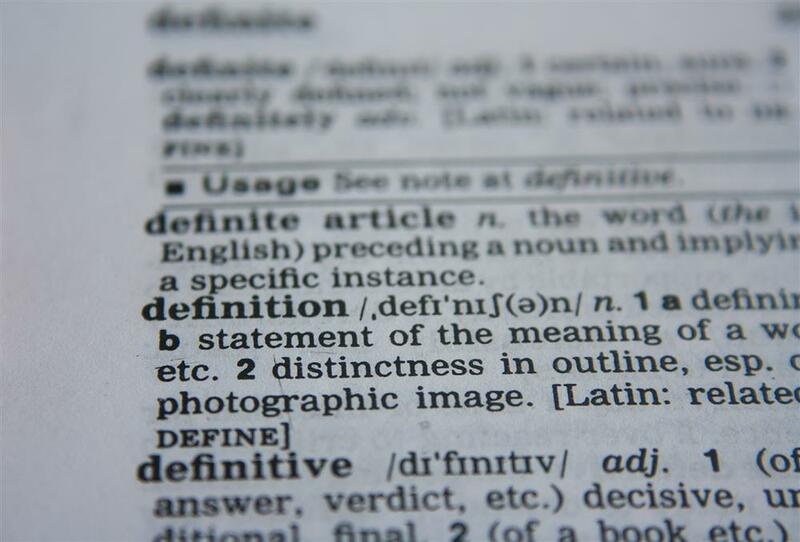 This brief Glossary explains some of the words and phrases commonly used in wills, as well as a few other terms that you may encounter during your estate planning process. An administrator is a person or firm that is appointed by the Court to manage and distribute the estate assets of a person who died without making a will, or of a person who died with a will but whose named executor is either unable or unwilling to act in that role. Anyone who benefits under your Will by receiving a gift of property or money is a beneficiary. A bequest is a specific gift of property or money to a specific beneficiary under a Will. To give a gift to someone under the terms of your Will is to bequeath that gift to them. A codicil is an addition or addendum to a Will, which has the effect of making a change to the Will without entirely replacing it. Codicils are typically used only to make minor changes, but since the requirements for witnesses are the same for a codicil as for a will they really have no advantage over just making a new will. This term refers to the transfer of real estate property to a beneficiary through a Will. To cut off a person from his/her inheritance in an estate where he/she would have been a natural heir. A child can be disinherited by a parent in the parent’s Will. All of the testator's assets and property, including cash, investments, real estate and personal possessions. The person you have named in your Will who will be responsible for administering your estate is your executor (also called a personal representative or trustee). The executor is responsible for obtaining the grant of probate, collecting debts and other amounts owed to your estate, managing any testamentary trusts set up in your Will, filing the final income tax return, paying any estate taxes due, and making the final distribution of estate assets to the beneficiaries. An adult person appointed by you to care for your minor children, or, if the guardian is a property guardian, the person responsible for managing any estate property left to a minor child in your Will. An heir is a person who takes title to a deceased person's property by the laws of descent because the deceased has no will. That is different from a beneficiary, who is bequeathed a gift in a decedent's will. When an heir takes or receives property through the legal right of succession in this manner, they are said to inherit the property. A will that is handwritten, signed and dated totally in the handwriting of the testator is called a holographic will. Holographic wills are not recognized as legally valid in all places. When estate assets are distributed to beneficiaries in their present form, that is a distribution in specie. The alternative would be for the executor to sell the assets and distribute the cash proceeds. All persons who are descended from a common ancestor (for example one's children, grandchildren, and so on), either through birth or adoption. A formal document issued by a probate judge giving a personal representative the authority to conduct business, enter contracts, sell estate property, pay bills, distribute estate property, and otherwise act on behalf of a decedent's estate. This is a provision that you can add to your Will which provides that any beneficiary under the Will who makes a legal challenge to the validity of the document will be disinherited. You should review this with your legal advisors beforehand if you are considering adding such a provision. Any real or personal property which has been disposed of by a decedent by any means other than through a will, such as proceeds of life insurance policies, retirement plans, or property held in joint tenancy with right of survivorship. The method of dividing an estate by giving an equal share to each of a number of persons, all of whom stand in equal degree to the decedent. This is the most common way of distributing an estate such that if one of the decedent's children is dead, his/her children will share equally in his/her share of the estate distribution. This is also known as "by right of representation". Any estate property (real or personal) which has been left to beneficiaries under the testator's will, and which is managed by the executor prior to being distributed to the beneficiaries. The legal process which facilitates the transfer of a deceased person's property, whether they heave a will or die intestate (without a will). The court will establish the authenticity of the will, appoint a personal representative or administrator if necessary, identify heirs and creditors, direct the payment of debts and taxes, and oversee the distribution of the assets. As in "last will and testament". The word simply means the written contents of your Will which consists of your instructions and wishes regarding the disposition of your estate. This refers to your legal ability to make a will, meaning that you are of legal age and of sound mind. A trust that is created under a will and does not come into existence until after the testator's death. Testamentary trusts are the most common method of managing estate property on behalf of beneficiaries who are not of legal age. The testator is the person making the will - in other words, you. An arrangement under which assets are set aside by an individual and administered by a trustee for the benefit of another person. If you leave property or money in trust for minor children, the trustee is the person responsible to administer the trust until the conditions you have set (for instance, until the children reach a certain age) are met. The trustee has the authority to use trust funds for medical expenses, education costs, and other necessary expenses - basically the same authority as the parent would have if still alive. Have You Made a Will Yet? What Are You Waiting For?